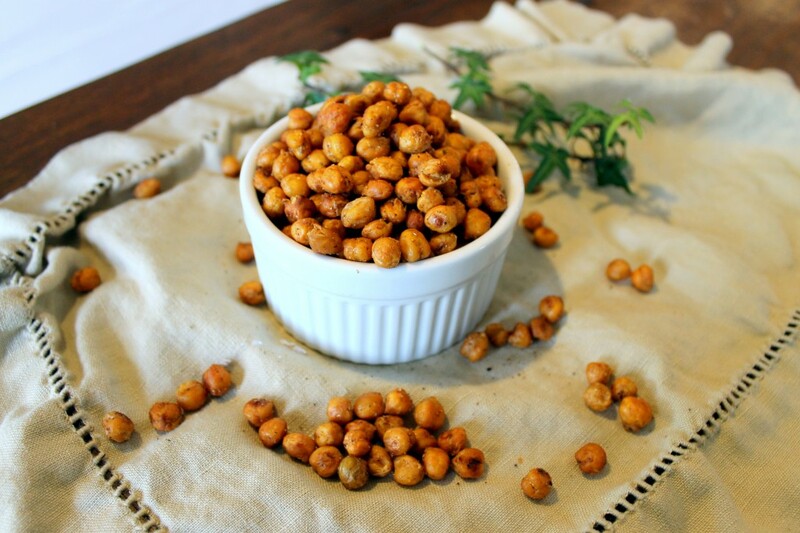 These Spicy Garlic Thyme Roasted Chickpeas are a healthy, tasty snack you won’t be able to get enough of! December should be known as the month for eating. I swear, it’s like everyone thinks calories consumed during December just don’t count (how much do you wish that was true? ), myself included. With holiday desserts everywhere we go, peppermint-flavored everything taunting us around every corner, and delicious holiday cookies all around, it’s hard to resist the sugary-filled treats. While I’m no saint, shoving cinnamon rolls, cookies and brownies into the mouths of everyone I know, I also opted to give a healthy alternative…too bad they were gone within about an hour. 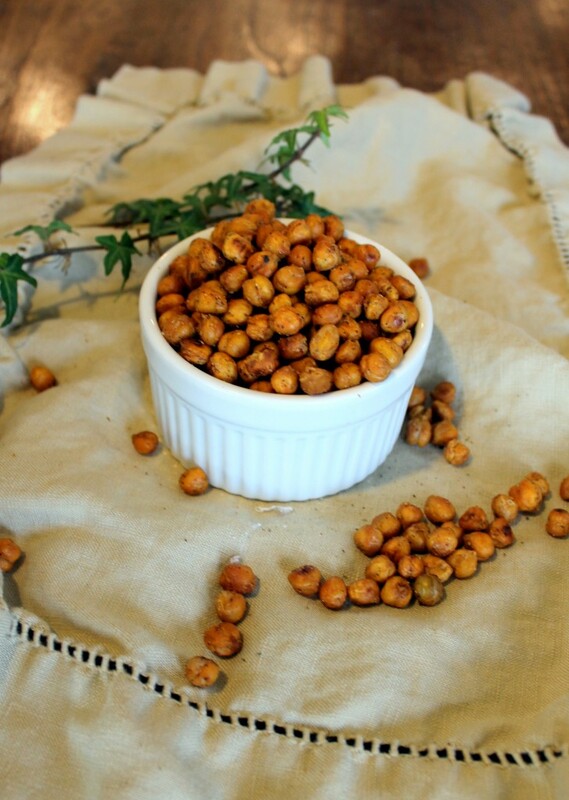 I’ve been wanting to make roasted chickpeas for a while, but they were just one thing I always forgot about. Probably the lack of butter and sugar involved. Now that I’ve made them though, they’ll be showing up on my kitchen counter quite often. fiber and nutrients, which is more than you can say of a cookie. These were primarily made for my sister Shaina who is gluten-free, sugar-free, and dairy-free, so these are great for those severely restricted diet people. She really enjoyed them! Feel free to play around with the spices as well! Most flavor combos would work, and I really want to make a sweet version soon, so I’ll be posting that as well for you guys to try. I hope you make these soon to ease the holiday sugar rush and enjoy them as much as we did! Preheat the oven to 425*F. In a medium saucepan, heat olive oil and garlic until garlic is light brown and toasted. Stir in the chickpeas, coating completely in the olive oil mixture. Stir in the spices. 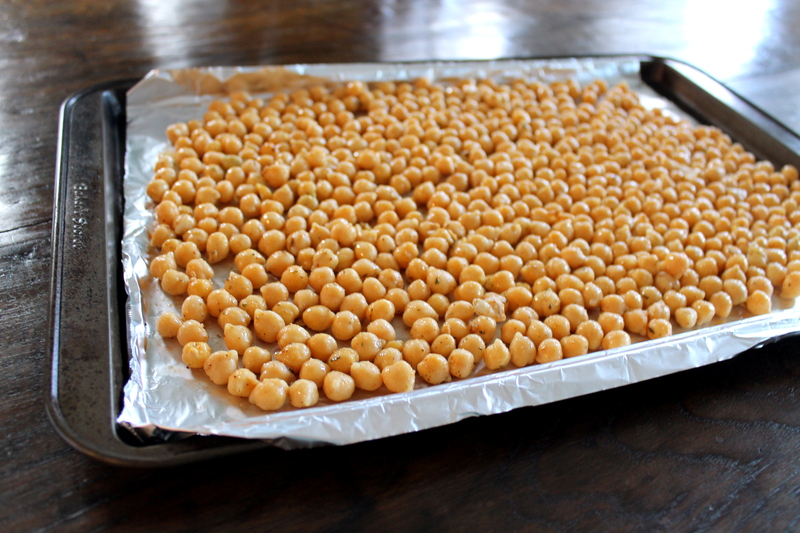 On a lined baking sheet, spread the chickpea mixture. Bake for 20 minutes. Stir chickpeas. Reduce heat to 375*F and continue baking for another 20-30 minutes or until chickpeas are browned and crunchy. This will take longer if your chickpeas weren't very dry. Enjoy! December is definitely the month for eating around here! I definitely wil try this! Yum, I’ve been wanting to make these for a long time! These remind me of the street snacks they sell in Trinidad (where my father was from) Lovely.